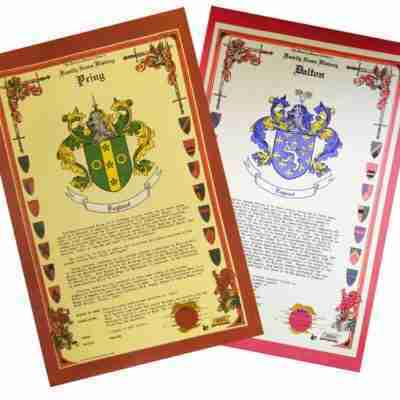 Family Name History Certificates providing full name history, and Coat of Arms description to suit all budgets and needs. 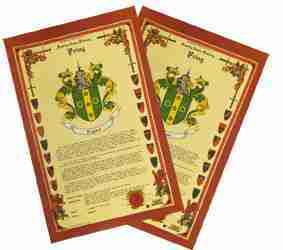 Explore our full range of heavy weight parchment certificates, complete with Gold Seal of Authentication. 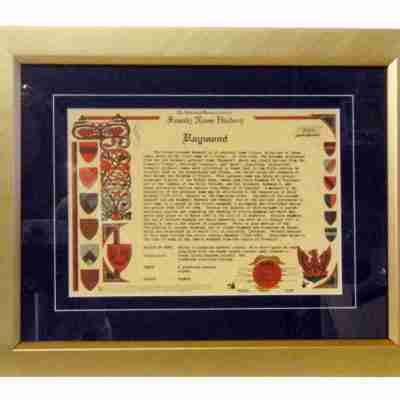 All information on the Family Name History certificate is fully researched and verified. Traceable in the history books. 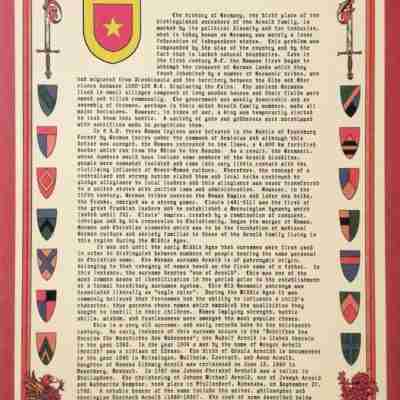 The most popular Family Name History Celebration Scroll includes a Full Colour Coat of Arms with the standard history and detailed explanation of the Coat of Arms all combined on the one large certificate (43x28cm).